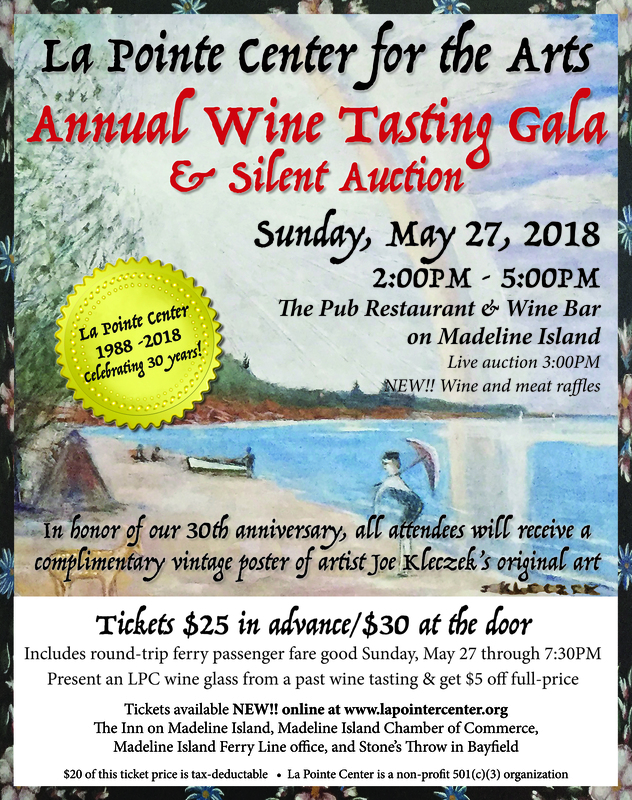 Beginning Monday, May 21, the La Pointe Center will be receiving donations for the silent auction for our 2018 30th Anniversary Wine Tasting Gala on May 27, 2018 at the Pub Restaurant and Wine Bar. Please bring your donations to the basement of St. John’s Church. LPC members will be there Monday through Friday from 10 AM to 2 PM. If you drop something when we aren’t there, please be sure to fill out an Auction Item form to leave with it. Thank you in advance for helping LPC support the arts!